Paneer butter masala is one of the popular dish of India from Punjabi Cuisine. This rich, tomato based dish is favorite for most of the Paneer / Indian cottage cheese lovers and also commonly ordered food in most of the Indian restaurants. Try this lip smacking paneer butter masla at home for your family and friends; make them happy! Grind ginger and garlic into fine paste. Keep aside. Add oil in a kadai; fry the chopped onions and cashew nuts till it becomes slight golden in colour. Grind it into a fine paste and keep aside. Heat oil and butter in a kadai, fry ginger garlic paste till the raw smell goes and add onion cashew paste. Stir it for a while and add tomato puree along with turmeric powder, red chilli powder, corriander powder, salt and sugar. Cook untill the raw smell goes and also oil separates. 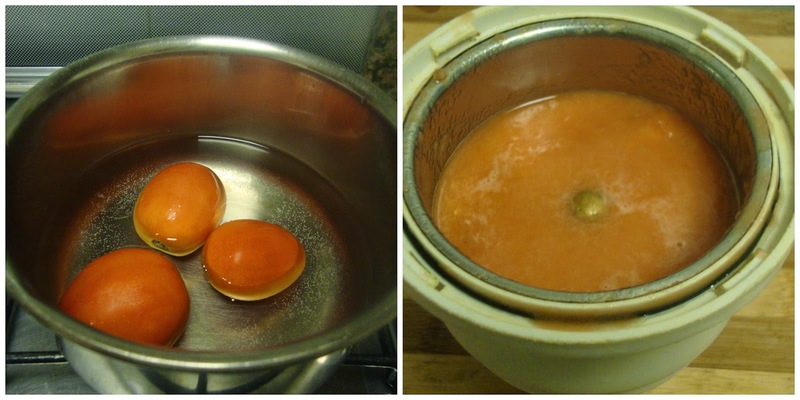 Add tomato ketchup (optional) and water to adjust the consistency. Allow to boil. Mix well ; allow to cook in a medium flame for three to five minutes. Your lip - smacking Paneer Butter Masala is now ready to be served hot! You can also add ¼ to ½ cup milk along with water to dilute the gravy and it also gives more creamy texture the dish. you can also grind cashew nuts separately and add it to the gravy. Choose red ripened tomatoes to prepare this dish. I didn't add any food coloring to this gravy. You can also fry the paneer and add it to the gravy. Paneer butter masala looks rich &wonderful .